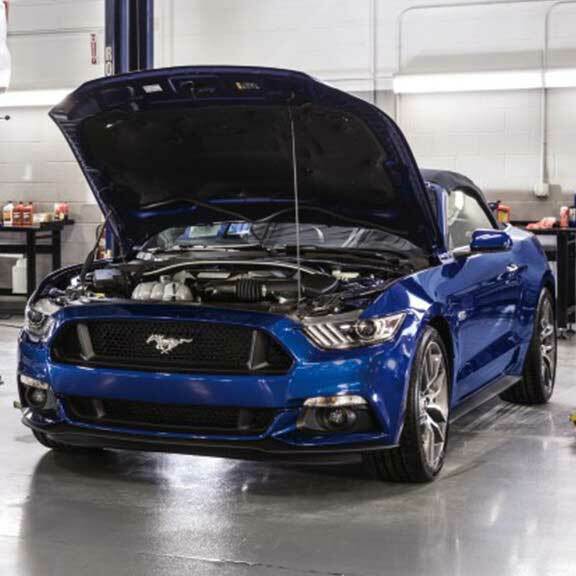 Why should I choose HAWK FORD of OAK LAWN for service and repair? 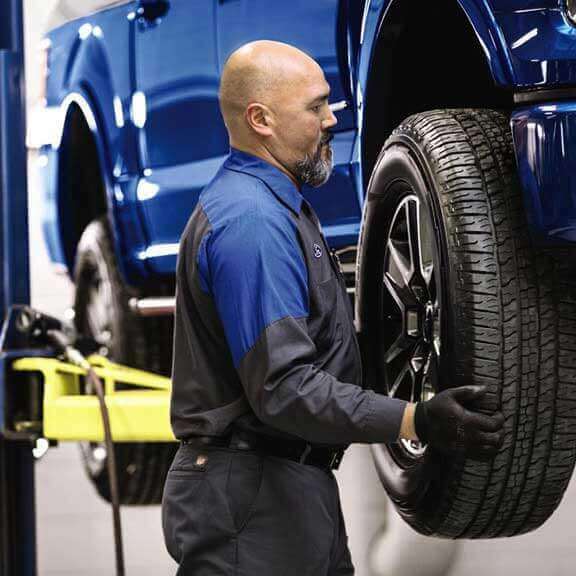 Our technicians are part of a network of over 35,000 factory-trained Ford technicians across America ready to service your car, truck or SUV. Their training was developed by the same company that designed, engineered and built your vehicle. This means we have the right parts, tools and techs to help ensure your service is done correctly the first time. Routine maintenance, such as oil changes, having fluids checked/flushed and tune- ups, can greatly increase your vehicle’s performance and reliability as well as greatly extend its life. 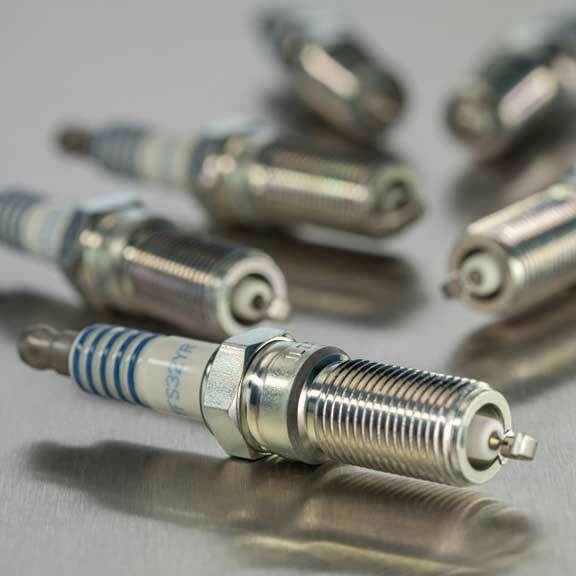 Failing to properly service your vehicle can result in increased repair costs, as well as greatly reduce its value for a future sale or trade-in. 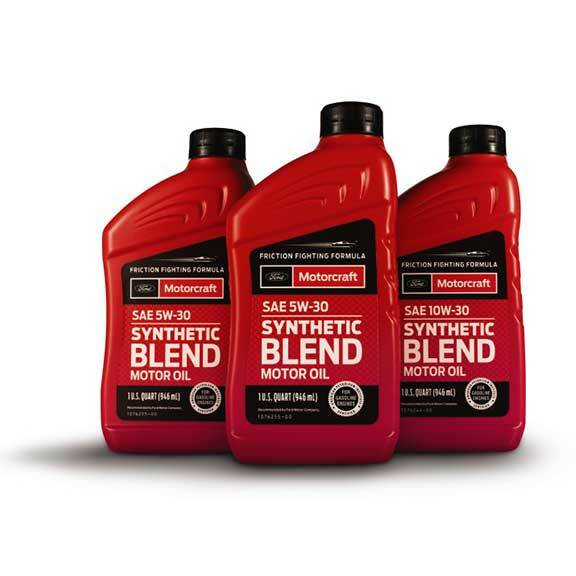 Today’s vehicle engines generally have extended oil-change intervals beyond 3,000 miles, so it is recommended that you consult the specific maintenance schedule interval in your vehicle’s owner manual. 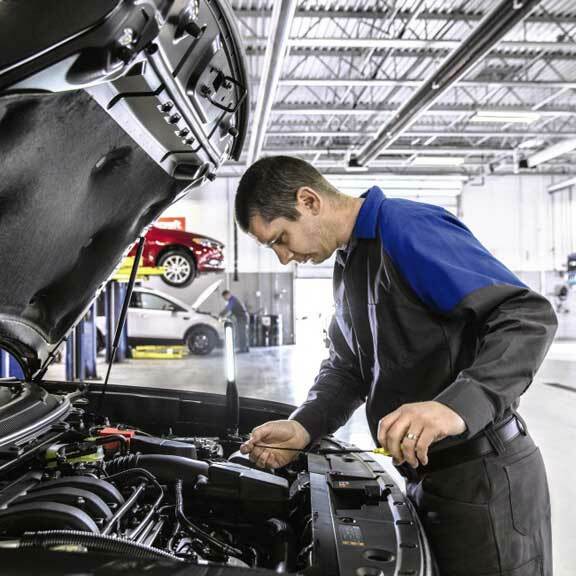 At HAWK FORD of OAK LAWN, an oil change is so much more than just an oil change. When you come in for The Works,® you receive a complete vehicle checkup that includes a synthetic blend oil change, tire rotation and pressure check, brake inspection, Multi-Point Inspection, fluid top-off, battery test, and filter, belts and hoses check — all for a very competitive price. 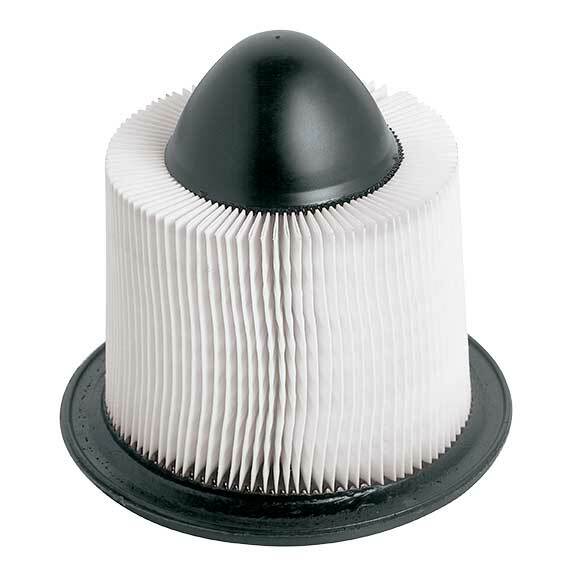 Your vehicle’s filters should be changed every 15K–30K miles. Most can be inspected and replaced during a routine oil change. These include the engine air filter, oil filter, fuel filter and cabin air filter. Belts and hoses play an integral part in your vehicle’s performance. As belts age, the rubber becomes brittle, causing it to crack. If the belt is showing signs of wear on its outer edge, this is also a sign that it will need to be replaced. Your vehicle has rubber and metal brake lines and both can crack and leak. Our technicians will first examine the rubber hoses to ensure they are soft and don’t have cracks. They’ll then check the hard metal brake lines for corrosion and leaking. If either is damaged, replacement is recommended. Today’s vehicles are loaded with technology. That’s why it’s more important than ever to ensure your battery operates at peak performance. 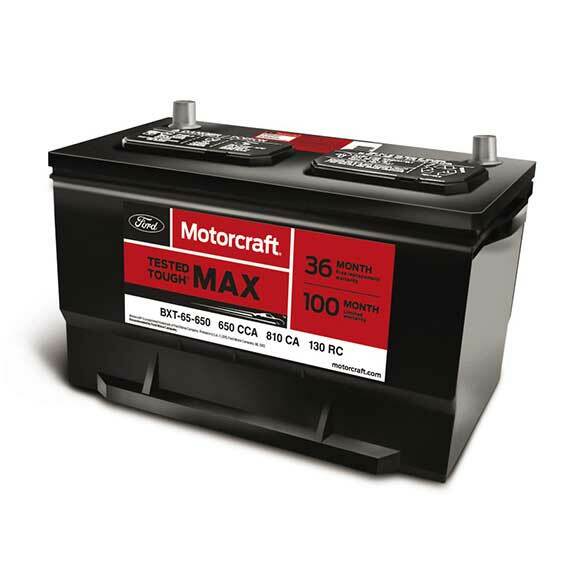 At HAWK FORD of OAK LAWN, we know exactly what battery is needed for your specific vehicle and can help guide you through what can be a somewhat complex process. • Have your tires rotated every 5,000 to 8,000 miles — see tire manufacturer for specific recommendations. • Check the pressure of all tires, including your spare, at least once a month when the tires are “cold,” meaning that the vehicle hasn’t been driven for at least three hours. Recommended air pressure for your tires can be found on the placard typically placed on the driver’s side doorjamb. • Have your tires inspected during every service visit. 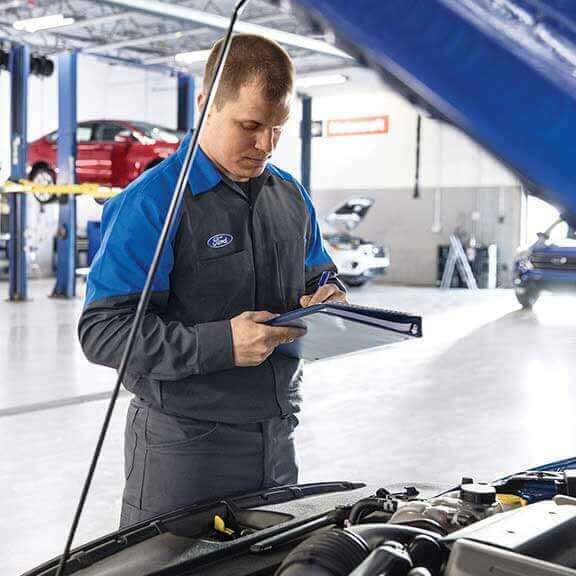 The Ford Service Credit Card is a financing option that lets you pay for all service maintenance and repairs, including tire purchases and installation, at HAWK FORD of OAK LAWN and other Ford Dealers across the U.S. It only takes a few minutes to apply and receive the decision.